This is the atmosphere in the Unique Times office now! Every one cooling their heels after a hectic and stressful month. Last month was too busy organizing different events. It is challenging to put up any event, especially a beauty pageant. 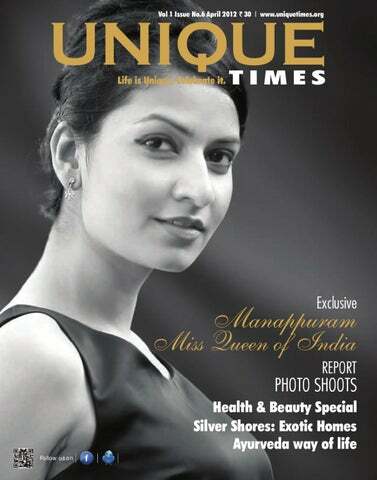 Organizing Miss Queen of India 2012 was a greater challenge for us because it was held in Kochi for the first time. I must say the result was outstanding. Excellent and overwhelming feed backs that pour into the office is the true testimony of its success. Of the 16 contestants, the top three are from Bangalore, the city of flowers. Ms, Vanisree Bhatt claimed the crown while Akhila and Lakhsmi claimed the 1st and 2nd runner up positions respectively. Any event becomes a stupendous hit when the team behind it works with dedication, commitment and precision. 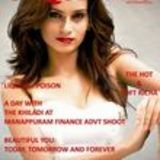 That was the secret behind the success of Miss Queen of India 2012. I take this space to express my heartfelt gratitude to each one of those who have supported in their maximum capacity to make this event a grand one. Once again congratulations to Ms.Vanisree Bhatt, current Miss Queen of India, Akhila and Lakhsmi, the two runners up. Thank you and wish you the best. It's really awesome." That was my first response when I saw the walkthrough of Silver Shores. Coming up in an exotic waterfront location, just a few kilometers off the Edappally-Aroor stretch of NH-47, AMV Groupâ&#x20AC;&#x2122;s new project Silver Shores boast of outstanding design, well connected location and all the luxury you can ask for. The Location Nettor is bustling with new projects and it is the best place for new investments. The renovated model Highway is among the best roads in the country. Hospitals, schools and a number of malls and hotels are nearby. The far side of Nettor is laced by backwaters and it is in this beautiful spot the project is coming up. It is far from the noises of the city but well connected to all major points. Construction Construction of these top class villas are done in most modern ways. The Top class design is supported by top class engineering and construction. Earthquake resistant RCC framed structure/Shear wall is used with proper foundation as designed by expert structural consultant. Bedrooms are given wooden flooring and Italian marble for the rest of the home. Emulsion or equivalent paints are used to paint internal walls and ceiling and weather guard or equivalent for outside walls. All kitchen and bathroom fittings used are branded and of high quality like GROHE/TOTO/ROCA. Home automation is proposed to be done in a great extent; there will be biometric based access control, centralized mood lighting control in living rooms and motion sensing light in bathrooms. A place of joy A home is place of Joy. Each villa in the project is of a spacious 4723 sq ft and has four bedrooms. The villas also come with a private pool, personal lift, gym and a home theatre. All villas have a prominent lake view. With all the amenities you can ask for one should say that luxury is standard here. In short Silver shores will be the best gift you can give to your family and the privilege of living with the equals of intellect and standing. Amenities &Facilities When it comes to amenities, there is nothing short, see the expansive list of common facilities like tennis court, sauna and Jacuzzi, swimming pool with baby pool, Barbeque counter, billiards, table tennis and card room, internet broadband connectivity/Wi-Fi, In-house convenience store, Vasthu friendly layouts, landscaped garden, sewage treatment plant, rainwater harvesting and much more. There are few projects which has all the luxury, natural beauty and accessibility coming together. One negative thing I have noticed is that there are only 10 for taking, for the very fortunate. If you would really love to settle down in one of these, be quick on your feet to start the buying process. â&#x20AC;&#x153;Let water bind your family closerâ&#x20AC;&#x153; says the brochure and it contains all the details of the project. Order yourself a copy by contacting the customer care. AMV Inns ? Ltd: AMV inns ? Ltd, is a company specially floated to undertake its maiden foray into the building of hospitality infrastructure. We have signed the Management Agreements with Hyatt group of hotels to manage our five star hotel property at Cochin near Maradu. AMV Resorts ? Ltd: AMV Resorts ? Ltd focus on developing world class hospitality infrastructure. It has aim at acquiring valuable real estate in the picturesque and splendid hill stations of Kerala. We are developing a five star resort in Munnar, this resort will be managed Hyatt Group of Hotels. Abhishek Developers: Starting out as a fledgling real estate company, in a short span it has grown manifold and holds valuable investments at major points in Cochin and other parts of Kerala. The company proposes to develop land holdings, commercial space and office space. A commercial project named AMV Towers is being developed by the company in Cochin. Gold loans mainly existed in the unorganized sector. Now banks and big corporate have entered this market providing the customer with easy loan options. The social stigma of taking a gold loan has gone, and now working executives especially women take gold loans for emergencies. Another reason to the emergence of gold loan is the substantial increase in gold price and good amount can be taken by placing your gold. This makes gold loans very attractive. Gold has remained the favorite investment mode for Indians for a long time. Gold is but a dead investment until you decide to monetize it for a higher price. Gold loans emerged as a favorite loan option considering the fact that you donâ&#x20AC;&#x2122;t have to sell the gold to monetize it. Once you tide over your financial need, you can take back your gold. The process of taking a gold loan is simple and can be done in a matter of minutes. Once you approach the lender with your gold, the purity of the gold is checked, and then you will told the amount of loan you will get based on the gold and the interest rates. Then fill up the application form, submit your identification and address proof. When the application formalities are over you will be given the loan amount. Once you repay your amount you will handed your gold back. evening was luring me to go out. Usually I spend my Friday evening watching a movie, as I am a movie devotee. But the foodie in me decided to go out and have some good food rather than a movie. Having decided to have food I started thinking of a good restaurant where I can sit and relax and have food at my pace. I have heard of Mezzo (pronounced Metzo), Avenue Regent Kochi from my friend, Estella. So I decided to give Mezzo a try. also this Shrimp Cocktail salad, which was popular among who insist of seafood. It was difficult for me select one from these varieties, I had to resort to some nursery school strategy to select Hammus as I have inclination for Arabic food. There is also an exhaustive list of Desserts and Mocktails. Among the popular here are Mexican Chocolate cake, Carrot and Walnut pudding and Peanut butter brownies with Ice cream. I selected Mexican Chocolate cake and also ordered a Fresh iced lemon tea. The restaurant is open from 11am to 11 pm, and the last order they take is at 10.30 pm. I would suggest Mezzo for the warm ambience, good food and cuisine variety. There is also a good selection of Cocktails to select from if you like to taste one. The service was excellent. I left the restaurant with both my stomach and mind contemplated (and after paying my bill) and I have already decided to take my family to Mezzo. Oh, I have to tell Estella that indeed her recommendation was excellent. Where thereâ&#x20AC;&#x2122;s beauty with brains, people are sure to gather there. The most awaited beauty pageant, 2nd Manappuram Miss Queen of India 2012 saw sixteen participants from India competing with each other, in terms of beauty, talents, attitude and poise, and for sure, each one proved their worthiness to the best. Pegasus Event Makers, run by Ajit Ravi Pegasus, organized this national-level beauty pageant with the prime motto of encouraging and promoting young aspiring talents in India, be it in fashion, entertainment or other media platforms. The beauty pageant, which happened at Le Meridian, Kochi on 9 March, 2012, had the cityâ&#x20AC;&#x2122;s fashionistas and business tycoons walk in to be a part of the event. This was a pan India contest with contestants from various parts of the country. meditation, personality development, catwalk, beauty tips, photoshoot, interaction and talent search. Each session was designed to enhance the contestants’ strengths and eventually overcome their weaknesses. These sessions were organised under the guidance of Mr Ajit Ravi (Pegasus), Mr Sameer Khan (Elite Model Flatt), Mr Arun Ratna (Fashion Runway), Ms Valentina Ravi (Valen’s Model Management), Mrs Sheela Abraham (MD, Sneham), Dr Thomas Nechupadam, (Metanoeo) and Mrs Jebitha Ajit. The four-hour event took the audience on the edge of entertainment with a series of cultural extravaganzas. Kerala’s favourite MC Ranjini Haridas, as always, gave in the best to do her job at hand - entertaining the crowd and hosting the show in outright elegance and wit.